Although it has been around for more than 20 years selling its object database to customers in areas such as intelligence and scientific research, Objectivity thinks the advent of NoSQL and companies trying to emulate Twitter’s ability to determine relationships among disparate pieces of data might finally propel it into the database big time. Much of the world still hasn’t caught onto graph databases and how they might be used, but the mania around social networking is changing that fast. Rather than merely inventorying data to serve an application or to or query for analytic purposes, graph databases help their users determine how one piece of data is related to another. 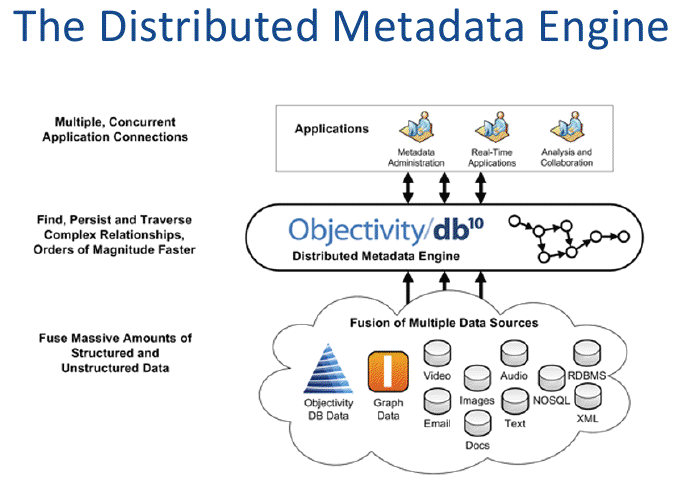 In order to capitalize on the moment, Objectivity created InfiniteGraph, an API that sits atop its flagship Objectivity/DB database and turns it into a fully distributed graph database. They’re catching on because large web sites are beginning to talk about how they’re using them. Twitter uses its FlockDB graph database to store the social graph that lets the site determine who’s connected to whom, and how. It even open-sourced FlockDB, as well as the Gizzard query tool for FlockDB, to help spread the graph love. Google (s goog) built Pregel to help it analyze relationships among its massive collection of web pages and other web-based data. An Austin, Texas-based startup called Ravel plans to release an open-source version of Pregel later this month. Objectivity Chief Architect Darren Wood says the uses for graph databases don’t stop with the web, however, and could be used for jobs like fraud detection, criminal tracking, retail and logistics as well. Essentially, he says, they’re about “making the relations first-class citizens” in the data. To help get the word out, Objectivity has been hanging out in NoSQL circles lately. Despite the fact that Objectivity/DB has been around since many NoSQL developers were in diapers, Wood says the experience has been very rewarding. People interested in NoSQL generally are interested in learning about the full range of options, he explained, and that includes his company’s core object database technology as well as its new graph capabilities. For some reason, he lamented, object and graph databases get lost in all the talk around key-value stores and document-oriented databases, although they’re all technically NoSQL. But, as I’ve discussed in detail before, calling your product NoSQL is a double-edged sword. Objectivity Director of Marketing Thomas Kraft says interest in the company certainly has peaked since it start applying the NoSQL label and selling InfiniteGraph to capture the growing interest in graph databases. 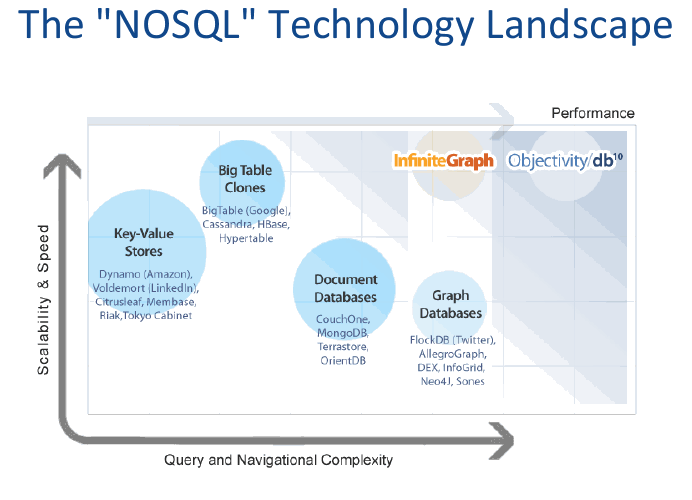 The reason is that despite being a catch-all term, NoSQL does attract a lot of eyeballs. NoSQL comes with certain connotations, though, including open-source project and no support. For better or worse, neither of those describe Objectivity and its projects. Kraft noted the value in open-source projects and admits there are use cases where that approach is ideal, but he thinks there’s definitely a place for proprietary NoSQL, and graph databases, in particular. For someone trying to build the next Twitter, an open-source project like FlockDB might work just fine, he explained, but more-complex deployments in more-traditional businesses might require looking at a company like Objectivity. At our fast-approaching Structure Big Data conference in New York City, we’ll be highlighting a wide range of use cases for NoSQL and other big data tools. It’s an interesting game Objectivity is playing by working its way into a NoSQL discussion that has the potential to pigeonhole a product, but, ironically, maybe that’s just what Objectivity needs to expand its presence and user base. Between it’s proven reputation with Objectivity/DB and its InfiniteGraph tool that invokes thoughts of Twitter and Google, Objectivity can bring in potential customers from all sides and let the products speak for themselves. That’s a rare luxury among NoSQL vendors, and one that should help the grizzled veteran Objectivity compete in a young man’s game if graph databases do catch on. Feature image courtesy of U.S. Army. Is it possible to get a better image for objectivitydb2.png because I could not read the text? When I downloaded and tried to look at it, the text became blurry when I increased the magnification. You can find these charts on the Objectivity homepage. Clicking any chart takes you to a single page with all of them there.